A short distance west of Engine House #21 and turning north on Smith Avenue, you will eventually cross the Mississippi River on the Smith High Bridge. Of the first three bridges in the area, the High Bridge was the last to be constructed, connecting Uppertown and Lower West Side. After the West Side opened to settlement in 1851, the first organized crossing was John Irvine’s ferry in 1852. The Wabasha Bridge followed in 1859, then the Robert Street Bridge in 1886. These connected the Lower West Side very well, but left the blufftop isolated. 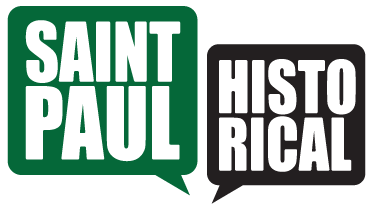 No doubt some people liked it that way, but others wanted easier transportation, more commerce, and an increase in the value of their real estate -- and St. Paul had always been a town of real estate speculators. The prime mover behind a third bridge was Robert A. Smith--banker, postmaster, city councilman, state representative, senator, and Saint Paul’s longest-serving mayor of fifteen years. Its main contractor was steel baron Andrew Carnegie, operating behind the name Keystone Bridge Company. The bridge presented some technical challenges -- it had to be very long and very high on one end. 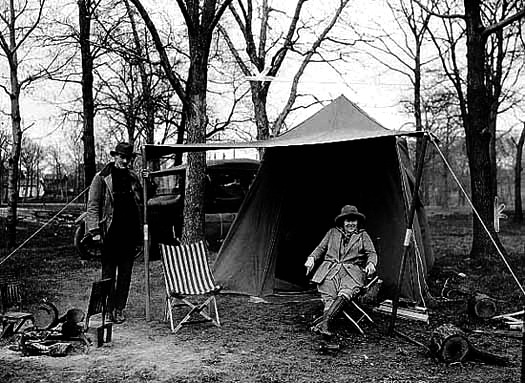 Construction began in 1888 and finished in 1889. 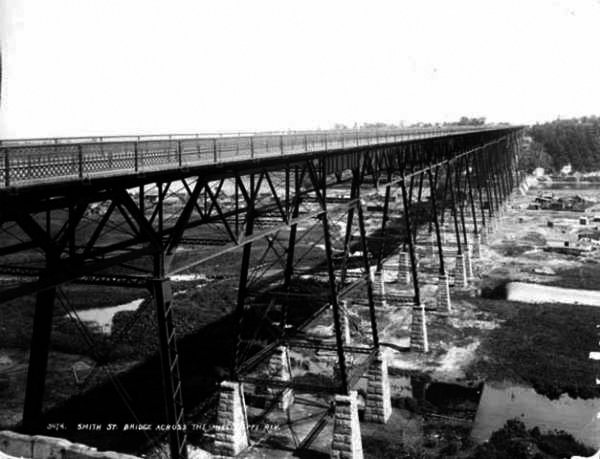 The High Bridge was a spectacular instant landmark: almost half a mile long, 182 feet above river level, made of wrought iron, with four huge limestone river piers below, and a deck made of cedar blocks to muffle the sound of the iron-rimmed wagon wheels for which the bridge was designed. It held together just fifteen years. 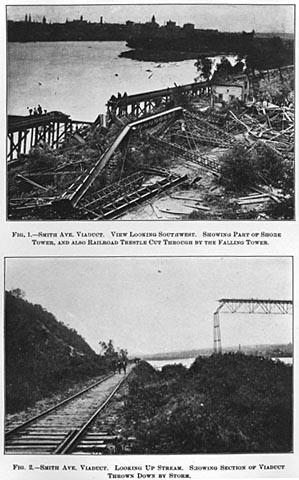 Saint Paul’s most violent storm, the Cyclone of 1904, took the south end down in winds estimated at 180 miles per hour. But the bridge was promptly rebuilt and lasted eight decades more, though with lengthy closings for repair in 1958 and 1977. Time, gravity, and corrosion required its demolition in 1985. The current bridge opened four years later and today is a favorite tailgating spot on the Fourth of July for viewing the annual fireworks show at Harriet Island. Crossing the High Bridge pays off on both ends, as it takes you to neighborhoods that are interesting and little-visited by nonresidents. At the lower end you will find Uppertown, one of the city’s oldest precincts, with old worker housing, rehabbed rowhouses, and the lovely, restored Irvine Park. At the upper end to the left, is one of the best lookout points in St. Paul, and beyond it, Prospect Park. To the right, you will see Cherokee Heights and Cherokee Park. 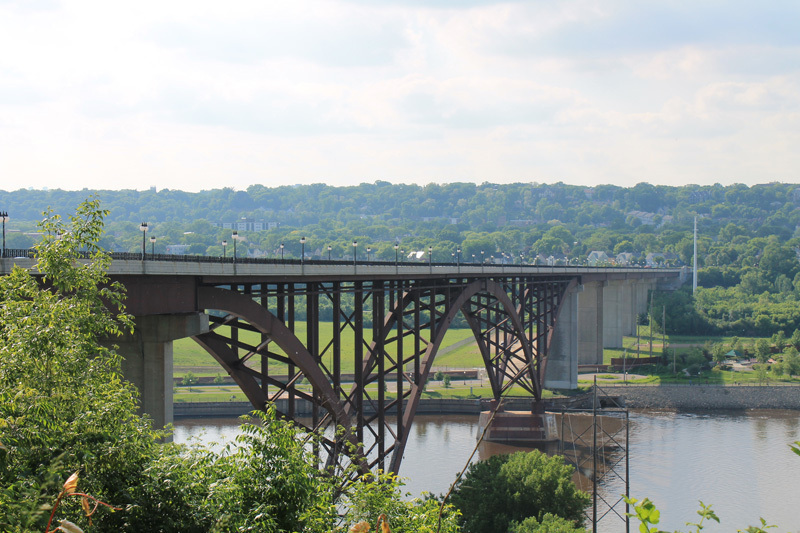 Paul Nelson, “The High Bridge,” Saint Paul Historical, accessed April 18, 2019, https://saintpaulhistorical.com/items/show/149.